Earn points with every purchase and enjoy a great, low rate. This basic credit card puts the power of Visa® in your wallet with no annual fee. You set your own credit limit with a deposit to your SouthPoint FCU Regular Savings account. Get a great new card and 0% APR* for up to six months. Get the cash you need without any extra fees. Going out of the country? We’ll keep your credit card fees low. 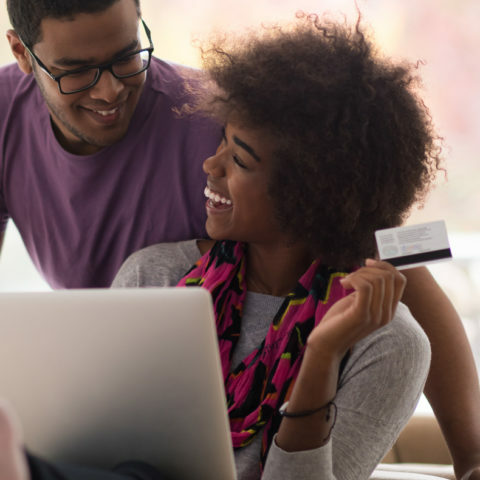 Transfer any high-interest credit card balances over to your SouthPoint Visa without a fee and receive 0% APR* for 6 months on the amount transferred. Learn more about our simple transfer process. Before you use your card online, give Verified by Visa® a try. Earn 1 point for every $1 you spend, then use those points for gift cards, airfare, and more. Visit www.uchooserewards.com today. *APR-Annual Percentage Rate. Introductory rates as low as 0% APR applies for 6 months on balance transfers. Then, a low standard variable rate applies ranging from 7.00%–18.00% APR. Interest rates are subject to change based on the type of loan, the collateral, loan to value, borrower’s credit history, account relationship, and automatic payments. Rates disclosed are the lowest rates available at SouthPoint FCU. Other conditions may apply.